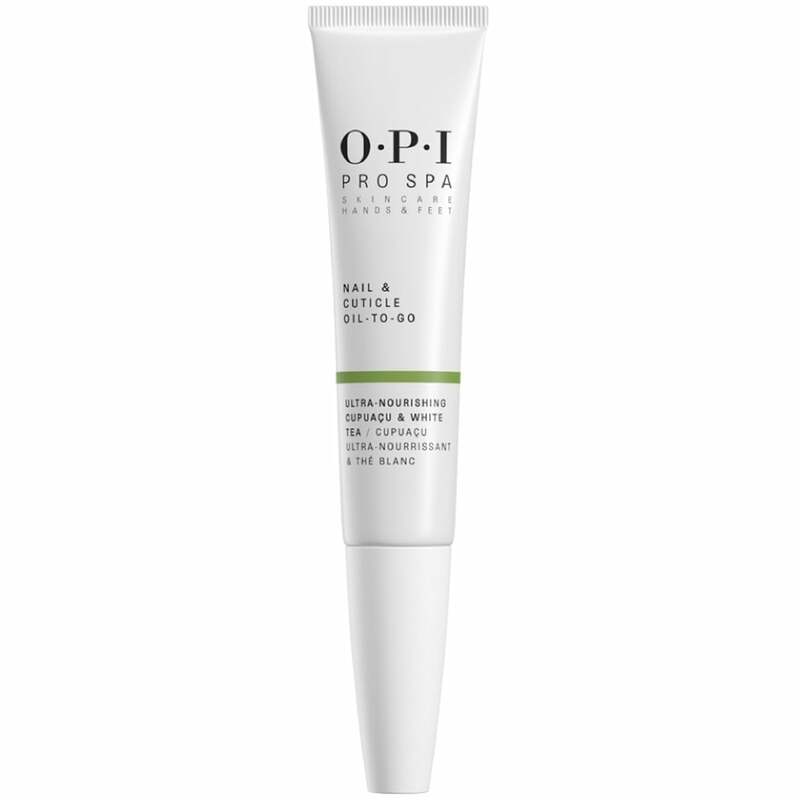 OPI Pro Spa Nail & Cuticle Oil-To-Go (7.5ml) is a fast-absorbing, ultra-hydrating oil which helps replenish and strengthen dry, rough nails on the move. With a delightful scent added to a formula based on OPI Avoplex Replenishing Nail & Cuticle Oil, it produces similar nourishing benefits. Drawing on the quality and effectiveness of facial skincare formulations, antioxidant-rich White Tea extract and Avocado Lipid Complex combine with ultra-nourishing Cupuacu Butter and moisture-rich Grapeseed, Kukui and Sunflower Oils to condition and protect cuticles. Gently massage into cuticles twice daily. This nail oil is very thin in consistency which is perfect as it doesnt leave your hands feeling oily. It almost immediately sinks into the skin and gives your cuticles that beautiful glow. I really love this product its fantastic. When I dont have it - I miss it! Incredible delivery from justmylook too. I get all my OPI products on here! Handbag essential keeps cuticles soft and moistured.